Winter has come to Lake Miroir. Below the surface, deep down in the dark, the lakebed sediments tell a story of ice and fire. These days, snow covers the landscape from December to April, but this hasn’t always been the case. This lake contains sediments from the last glaciation, which ended about 15,000 years ago in the Alps. Interestingly these sediments contain proof of a glacial refugia of trees: cembra pines and larch. Trees survived the deep glacial winter here in isolation. The snowy scene on the cover of New Phytologist 216:4 represents a site that contains proof of an extraordinary interplay between fire and vegetation in a periglacial environment. Christopher Carcaillet and Olivier Blarquez studied lake sediments nine metres below the surface. In their New Phytologist paper, they describe how they discovered evidence of fire amid the ice. This refuge burned, with a very low frequency of about one fire per 1000 years. This is the first evidence of fire at such high altitude during glacial times, which were cold and dry. Lake Miroir, western Alps, France. Courtesy of Christopher Carcaillet. Today, fire is about three times more frequent, with one fire every 300 years or so. The vegetation is naturally dominated by larch with cembra pines. While larch abound today, during glacial times the cembra pines were dominant. Carcaillet and Blarquez observed that when the vegetation switched from pine dominant to larch dominant, fires became more frequent. These results suggest that vegetation and fire interact, fire controlling the abundance of larch over cembra pine. Christopher Carcaillet’s research focuses on determining the long-term relative influences of climate and social processes on the pattern of plant communities (e.g. biodiversity) or ecosystem dynamics through changes in disturbance regimes (such as fire, snow avalanche, or insect outbreak). Seeking similar evidence to that found at Lake Miroir, the researchers investigated a similar lake in the same region. While it also contains glacial sediments, it provides no evidence of trees nor of fire. This comparison shows that glacial climate does not prevent the occurrence of fires, but suggests that trees are needed to allow fires to ignite and spread. 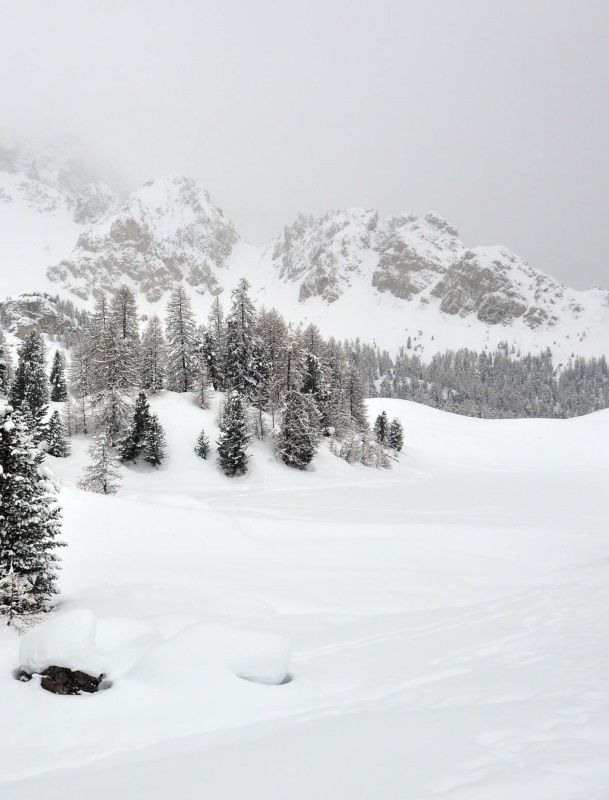 Carcaillet and Blarquez’s research suggests that trees may have survived the long glacial winter in Europe in more places than previously thought. Despite finding refuge from the ice, however, they may not have been safe from fire. This entry was posted in Latest Posts, New Phytologist, NPCover and tagged ecology, fire, last glacial maximum, New Phytologist, NPCover, palaeoecology, plant science, refugia, reproductive isolation, trees. Bookmark the permalink.